U.S. national security adviser John Bolton said he raised concerns over China’s management of Haifa port in a recent meeting with Israeli Prime Minister Benjamin Netanyahu. 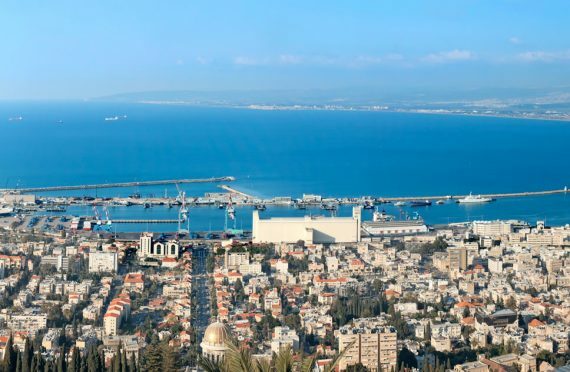 According to The Jerusalem Post, the U.S. Navy is considering changing its operations at the port once the Shanghai International Port Group (SIPG) – a firm which the Chinese government has high stakes in – officially takes over Haifa’s civilian port in 2021. SIPG runs the largest port in the world in Shanghai and was the only bidder for a 2015 Haifa port deal which granted the company control for 25 years. In return, the company committed to invest $2 billion into the project and transform the port’s bay terminal into Israel’s largest harbor. “The Chinese port operators will be able to monitor closely U.S. ship movements, be aware of maintenance activity and could have access to equipment moving to and from repair sites and interact freely with our crews over protracted periods,” said retired admiral and ex-chief of U.S. naval operations Gary Roughead during a conference at the University of Haifa last year. “Significantly, the information systems and new infrastructure integral to the ports and the likelihood of information and electronic surveillance systems jeopardize U.S. information and cybersecurity,” he added. According to China’s Ministry of Transport, a total of 52 ports in 34 countries are managed or were constructed by Chinese companies, and that number is set to grow as Beijing expands its program.